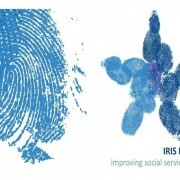 IRIS Network has a great pleasure to announce the continuation of its small grants program, which will provide financial support to the member organisations in: Albania, FYROM, Montenegro, Kosovo, Bosnia and Herzegovina and Serbia. This call will support implementation of advocacy initiatives. 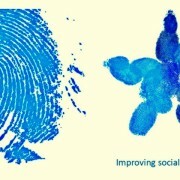 Improving policy framework and practices of involvement in decision making process vulnerable groups and/or beneficiaries of social services. Total budget of the call is 60 000 EUR. Funding will be provided for minimum 12 projects lasting up to 6 months maximum. It is anticipated that maximum of € 5,000 per project will be available. In case of partnership, corresponding additional documentation should be enclosed, as well as “Partnership agreement” from the Application form, signed and stamped by the legally authorized representative. If you have a project which may fulfill the requirements of above described program, please send your proposals to: masa.mitrovic@asb-see.org no later than 31.10.2015 midnight, with the email subject “Call for proposal for the CSO support”. Supporting documents: Application form; Budget proposal; Guidelines. 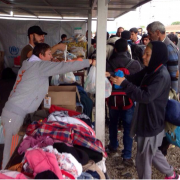 PREDA Plus is providing immediate help to the refugees on exit point in FYROM in Tabanovce. In cooperation with ASB, PREDA Plus distributed 150 humanitarian packages per day, out of which 50 for women and 100 for men. This number roughly covers 5 to 10% of the total distributed humanitarian aid at the spot. Additionally, PREDA Plus provided food and milk for the refugee children, as well as the blankets. The situation at the border-crossing Tabanovce is changing from hour to hour. At the moment, 4000-5000 people are crossing to Serbia daily. Most of the refugees are using trains for transit, but some of them are transiting via busses and/or taxi. Due to the change of weather conditions (lower temperature, rain and fog) there is a need of additional type of aid packages: warm clothes (jackets), boots and raincoats. 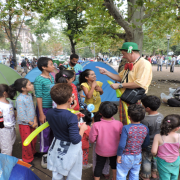 Since the beginning of September 2015, IDC has started implementing the program for refugee children and their families residing in the park near the bus station and the Faculty of Economics in Belgrade. Together with their parents, children are travelling long way through the often dangerous and inhospitable places, without much food and water, sleeping in tents or under the open sky, in a situation of existential insecurity. In these circumstances, their psycho-social needs are often put aside. Therefore, the IDC started a program primarily designed for children refugees from Syria, Afghanistan, Pakistan, Eritrea and other countries, travelling through the territory of Serbia. Program is consisted of: workshops, watching cartoons, visits of clown, games playing and other activities targeting children. Also, along with a number of organizations, including the Foundation Ana and Vlade Divac and organization ADRA, IDC’s young volunteers distributed food, water and sweets to children, which were donated by Mondelez International. The IRIS Network informs its membership that the Second Call for Proposals will be launched in October 2015. The Small Grants Facility will be organised according to the lessons learned from the First Call SGF, focusing on: greater involvement of the stakeholders in discussion on provision of social services, partnerships promoting innovative services, analyses, advocacy and monitoring of social sector reforms. The SGF will be open only to Network member organizations, especially those who show initiative in active approach in implementing quality standards in their work. Priority will also be given to joint initiatives between two or more Network member organisations. Application documentation will be distributed through National Networks and available on the web site of the IRIS Network.